This is the third in my series of 2014 MLB Draft profiles. This time, I look at a prep pitcher from Georgia in Spencer Adams. Baseball America has mocked Adams to the Dodgers in its first three mock drafts. Editor’s note: All information of draft prospects compiled from internet sources, scouting reports and video. Before Baseball America mocked Adams to the Dodgers, I hadn’t heard much about him. 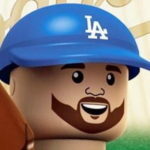 BA’s reasoning is sound — he’s an athletic, projectable, prep right-hander and new Dodgers’ national crosschecker Roy Clark is one of the best at scouting players from Georgia. It’s entirely possible the Dodgers could pop him at No. 22, as he’ll likely be there. Adams has a low-90s fastball that can reach the 95 MPH at times. 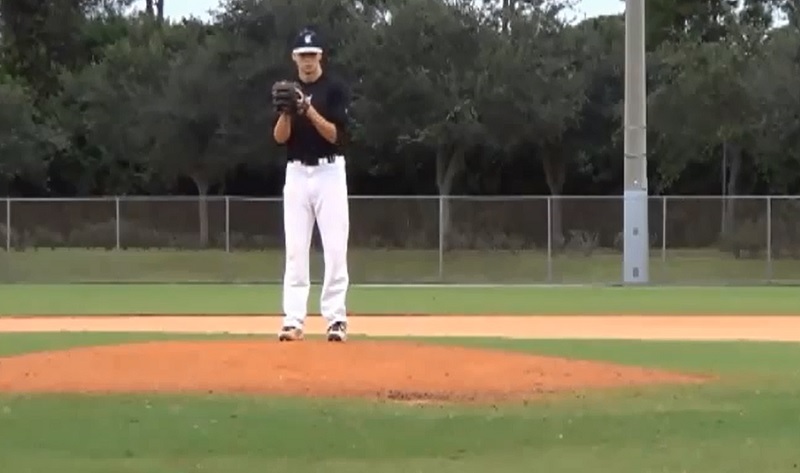 He throws from a three-quarters arm slot most of the time. Sometimes it dips to low-three-quarters. He gets good downward plane on the pitch, giving it some arm-side movement. It’s not a fastball in the mold of Chris Withrow or Chris Anderson (for now), but there’s projectability in his frame. His slider is his best off-speed pitch, but it’s been described in two ways by two different sources. One says it’s more of a sweeping slider than a sharp-breaking slider, and the other says exactly the opposite. No matter the shape of it, he throws it in the 83-86 MPH range. It flashes plus-potential and is a true swing-and-miss pitch. His changeup and curveball are works in progress, but both could be at least average offerings, making it even more likely he’ll stick in a rotation. His delivery is fairly straightforward, but the one thing I notice is he kind of leans (for lack of a better term) toward the third base dugout when he brings his front leg down and goes toward the plate. It could impact his balance and ability to repeat his delivery, but he’s been OK with it to this point. Adams was a 3-sport star in high school, so his athleticism is one of his best attributes. He’s long and lean, which is the classic indicator that he could add velocity as he fills out and gets proper professional instruction. His delivery is smooth and repeatable. Like many potential draftees in Georgia, Adams is committed to the University of Georgia. But a nearly $2 million bonus could change his mind rather quickly. The Dodgers haven’t chosen a prep pitcher with their first pick since the 2010 draft (Zach Lee), and this 2014 MLB Draft is deep in prep pitching. With the Clark connection, Adams could definitely be the Dodgers’ pick come June 5. I have him ranked at No. 7 on my big board, and he would be a quality selection.